Webcam – Live Images of The Guest Ranch! The employees at the Vee Bar Guest Ranch work as a team to get their job done and provide the best experience possible to dude ranch guests. Join our team in Laramie, Wyoming! No matter what your job is, you are always an ambassador for the ranch. We are generous with the use of the ranch, provided the guests have the first opportunity to take advantage of activities on the ranch. We encourage our staff to socialize with guests as much as possible, and spend some evenings each week enjoying the hayrides, camp-outs, musicians, and other entertainment with the guests. During the summer, the staff eats lunch and dinner with the guests, too. It is the Vee Bar’s mission to provide a safe, memorable, fun vacation for our guests and welcome them into the Vee Bar Family. If you have any questions about these job descriptions, please let us know. You will find an application at the bottom of the page! The Vee Bar Guest Ranch is hiring someone who can assist with planning and facilitating non-riding activities. 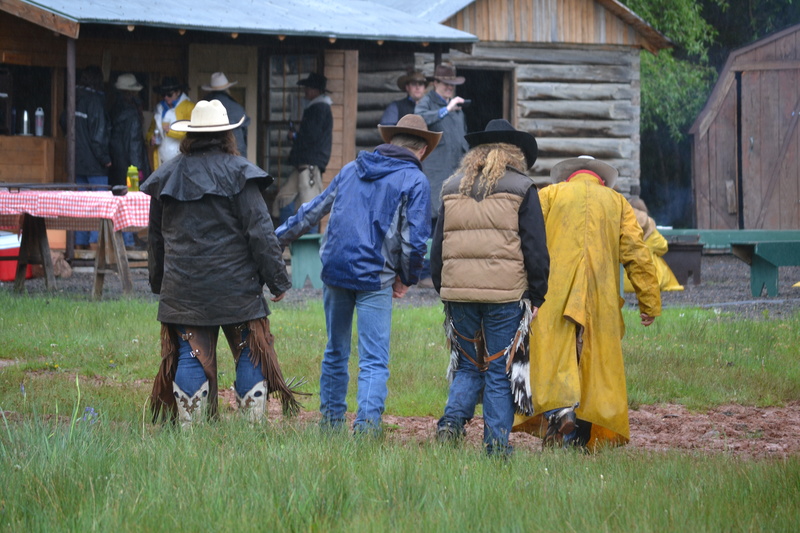 Activities in addition to horseback riding that the Vee Bar has done in the past include pasture golf, a stampede race, line dancing, hiking trips, games at our campsite, and much more. 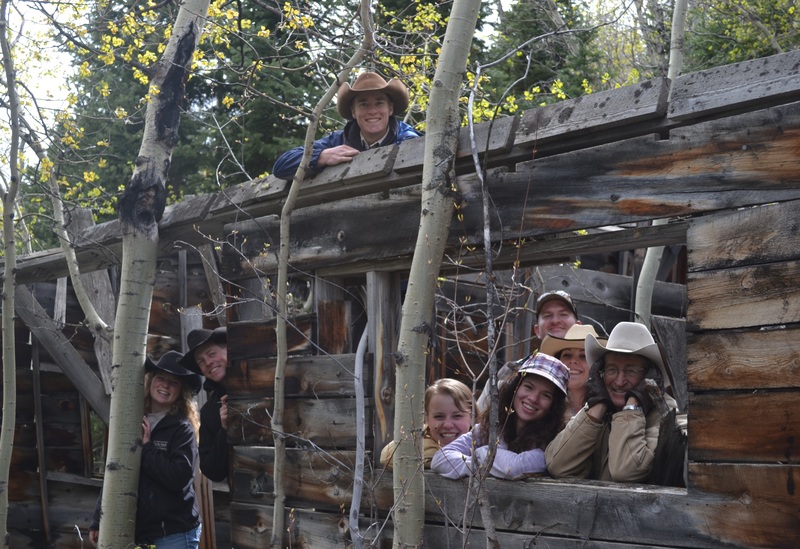 The Vee Bar is looking for a fun-loving, young at heart, kind, outgoing, and responsible individual to help plan and facilitate new activities during the summer guest ranch season, June through the end of August. Other duties might include dining room work and driving a van to transport guests to/from activities and the airport. For this reason, applicants must be 21 years or older and have a clean driving record. Applicants should expect busy days, early mornings and/or late nights. At times, the applicant will be responsible for hosting activities with guests as the only staff-member host. The applicant will need to be adaptable, be a problem-solver, and be able to work with people of all ages—kids and adults! Duties will include (but are not limited to) checking guests in and out of cabins, daily tasks to prepare for guest’s arrivals, coordinating tasks with housekeepers, answering emails, taking phone calls, making reservations, and cleaning the office. Office hours are from 8 a.m.-4 p.m. and we are looking for someone to work three days per week. Applicants must be proficient on computers and must have experience with Microsoft Office programs, specifically Word and Excel. Applicants must be detail-oriented, friendly, organized, able to multitask, and have excellent customer service skills. Applicants must have reliable transportation to/from the ranch–no housing is offered with this position. The Vee Bar is a dynamic and friendly work atmosphere. The busyness of the office and the wide array of questions that employees answer surprise many people. The office staff also acts as a concierge to guests at the ranch, as well as those trying to plan their vacations. Knowledge of the area will be helpful. Applicants should fill out an application, and return the application along with a resume via email, mail, or in person. The position will be filled as soon as an appropriate applicant is found. The accommodations manager is the head housekeeper. Some of the duties include cleaning cabins during the guests’ visit, getting the cabins ready for new arrivals, seasonal deep cleaning, light maintenance, helping to order new bedding, towels, etc. Other duties may include maintaining and cleaning other buildings such as the lodge and saloon. The Accommodations Manager needs to be comfortable working with a variety of common household cleaning chemicals, be able to lift 50 pounds, and have an eye for detail! Live-in opportunities can be discussed at the time of the interview. In the case of a live-in arrangement, job benefits would include room and board and salary. During the months of September–May, the Vee Bar is open for bed and breakfast guests. Cabins can be rented by the night for any number of nights. Housekeepers are responsible for preparing cabins for guests to stay. Your housekeeping duties will include general cleaning of the cabins, making sure cabins are ready for check-ins, laundry, day-to-day tidying up of cabins, and other deep cleaning projects. Depending on the number of hours the employee is seeking, the employee may be hired to work several shifts which could include breakfast, lunch, dinner, and/or housekeeping shifts. At the interview these possibilities will be discussed. During the months of September–May, the Vee Bar is open every day of the week. 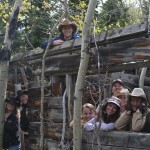 Guests enjoying the ranch are visiting for leisure, business, and/or adventure. Breakfasts are served daily to in-house guests. In addition to special events, conferences, and Christmas parties, the Vee Bar Guest Ranch serves dinners to guests as well as the public. Dinners are served by reservation only. Week night dinners are also served for groups and conferences and are served buffet style. Servers are expected to be professional, personable, and reliable workers. Dining room duties will include setting up for meals, serving guests, clearing plates, cleaning the dining room, doing dishes, and tidying up the kitchen. Depending on the number of hours the employee is seeking, the employee may be hired to work several shifts which could include breakfast, lunch, dinner, and/or housekeeping shifts. During the interview these possibilities will be discussed. Summer servers are responsible for setting up buffet meals for guest ranch guests. Most meals take place in the main lodge but some are served off-location. In this case, packing supplies, transporting supplies, setting up and serving the meal, and cleaning up will be part of the servers duties. This position is often combined with housekeeping. Three meals per day are served Monday–Friday. Breakfast is served on Saturdays. Breakfast and dinners are served on Sundays. The Vee Bar hires 3-4 servers and housekeepers. Combined Server & Housekeeper Position–Accepting applications–Housing available for the summer season. See the job descriptions above. Must be available on weekends! You work with the head cook, assist in preparing meals, unload and put away food orders, and assist the baker with certain tasks. On some occasions you will prepare and assemble meals without another cook present. You are expected to dress in a neat fashion and keep hair and nails trimmed. Hair must be restrained where applicable—hats are recommended. We will provide clean aprons, which you can use while on duty in the kitchen. Your responsibilities include packing and transporting food (for meals that are not at the main lodge). You might be asked to help set up at the meal site, cook and cleanup at the site as well. A clean kitchen is extremely important! Daily cleanup is not to be taken lightly, and you should make sure the kitchen is clean at the end of your shift. Your schedule will vary, as will your days off. You can expect about a 9 hour work day. Wranglers duties include, but are not limited to, taking guests on rides, caring for the horse herd, assisting during the wagon ride and camp outs, preparing the barn, tack, and horses for the start of the season, maintaining tack, assessing riders and dividing riders according to abilities, assessing horses and determining the type of rider they are best suited for. 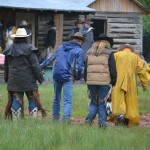 Wranglers need to have substantial horse experience and will need to demonstrate their abilities prior to being hired. Personal interviews are a requirement. Wranglers need to be prepared for long hours and physical work. Wranglers need to be responsible, mature, personable, and professional. The Vee Bar Guest Ranch is hiring a skilled landscaper for the summer 2018 season. Duties will include maintaining and beginning new flowerbeds, lawn mowing & weedeating, controlling weeds like thistle and dandelions around buildings, and improving the general landscape of the property. The applicant should have experience working in flowerbeds and landscaping. The ability to run machinery is beneficial but not required. The position can be 20-40 hours per week, depending on the work load the applicant is seeking. The Vee Bar is on Facebook! Join Our Mailing List to receive occasional newsletters and / or B&B specials. We promise, no spam!